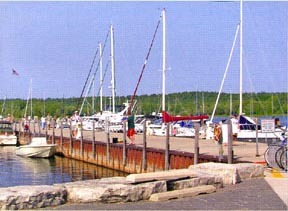 Fish Creek, voted the #1 small-town getaway destination by Midwest Living Magazine is at the heart of the Door County Peninsula. With an expansive choice of lodging, restaurants, galleries, boutiques and specialty shops, Fish Creek is your destination for a romantic getaway, family vacation, or retreat from city life. Come for a day, stay for a week...Fish Creek is delightful, and we welcome you as our guest. May-Oct, M-Sa 10-5, Su 10-3.